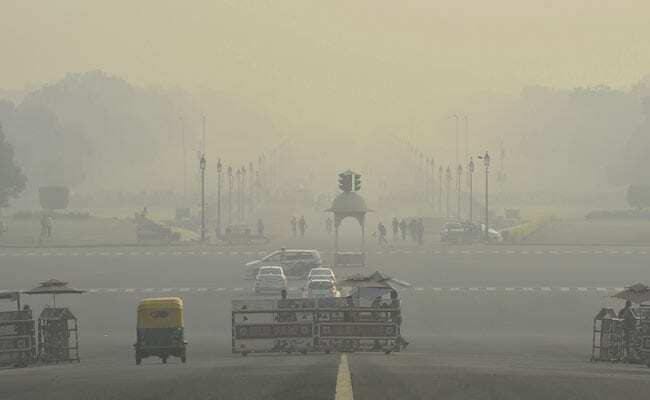 Delhi’s air quality was recorded in the ‘very poor’ category on Saturday, but remained on the brink of turning ‘severe’ due to drop in temperature and unfavourable meteorological conditions slowing down dispersion of pollutants, the authorities said. The Central Pollution Control Board (CPCB) and the Centre-run System of Air Quality and Weather Forecasting and Research (SAFAR) data showed the overall air quality index (AQI) in the national capital at 389 and 369, respectively — both of which fall in the ‘very poor’ category. The air quality slipped briefly into the ‘severe’ category on Saturday morning but turned ‘very poor’ by afternoon. Delhi’s air quality has been oscillating between ‘very poor’ and ‘severe’ categories for the past 10 days. According to CPCB data, 15 areas recorded ‘severe’ pollution, while 21 areas witnessed ‘very poor’ air quality. In the national capital region (NCR), Ghaziabad recorded ‘severe’ air quality, while Faridabad, Gurgaon and Noida recorded ‘very poor’ air quality. The overall PM2.5 level — fine particulate matter in the air with a diameter of less than 2.5 micrometer — was recorded at 234 and the PM10 level at 380 in Delhi, the CPCB said. The national capital recorded its second highest pollution level of the year on Sunday with an AQI of 450. The air quality remained ‘severe’ on Monday and Tuesday. There was a slight drop in the pollution level and the air quality moved to the ‘very poor’ category on Wednesday. On Thursday, the air quality again worsened and turned ‘severe’. According to the SAFAR, Delhi’s air quality has deteriorated slightly and touched upper side of the ‘very poor’ category. “Air quality over Delhi is very poor which may improve slightly as winds are relatively high during day but predicted to deteriorate by tomorrow as winds speed is unlikely to remain the same and other meteorological conditions are already not favourable. Cold wave conditions are likely to persist at least for next 2 days,” the SAFAR said. “The air quality index will continue to fluctuate between 360-380 for the next 3 days which falls under upper side of ‘very poor’ category,” it added. The SAFAR also pointed out that a consistent “day-night trend” is observed for the past one week.